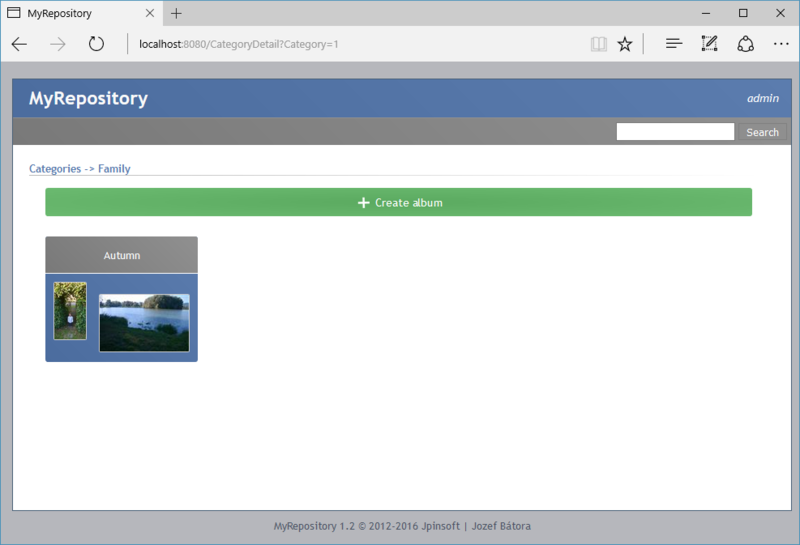 2016/10: New version of MyRepository 1.2 for Windows has been released! 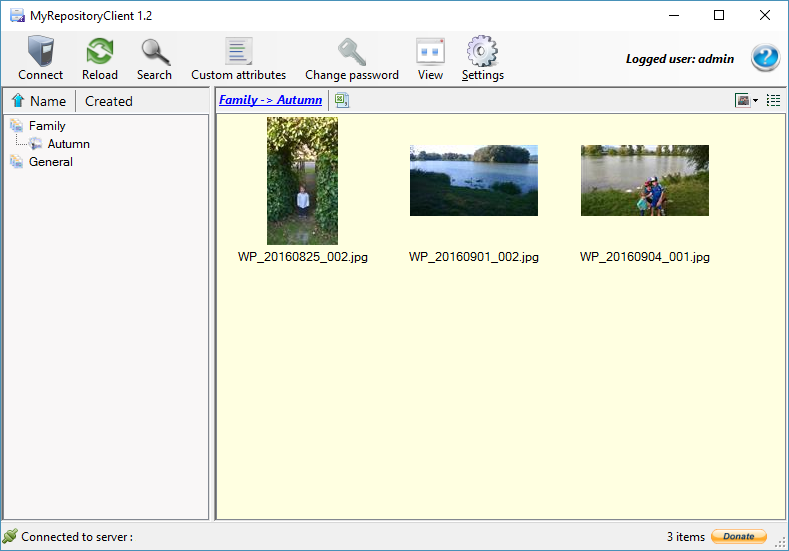 MyRepository is a freeware solution designed for managing and sharing photo albums, documents, video albums and other files, powered by integrated Web server. More information. 2016/07: Welcome to the Upgraded Jpinsoft Website. I am thrilled to announce the launch of my upgraded website, which is now mobile friendly! I believe you'll like it. 2015/11: DeepSound 2.0 for Windows XP SP3/Vista/7/8/10 is now available. 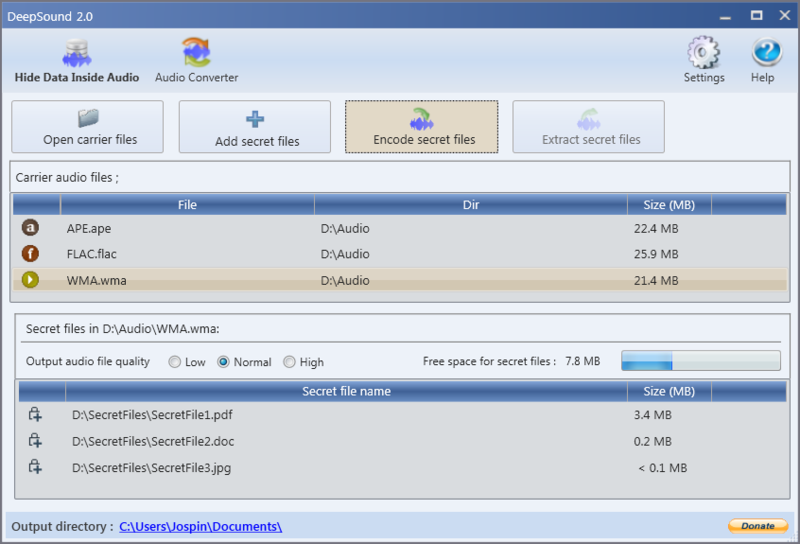 DeepSound is a free steganography tool and audio converter that hides secret data into audio files. More information. 2015/02: DeepSound 1.6 for Windows XP/Vista/7/8 is now available. 2014/12: New version of MyRepositoryServer 1.1 for Windows XP/Vista/7 has been released! MyRepository is a freeware solution designed for managing and sharing photo albums, documents, video albums and other files, powered by integrated Web server.More information. 2014/06: Game4You 1.1 for Windows XP/Vista/7/8 has been released! 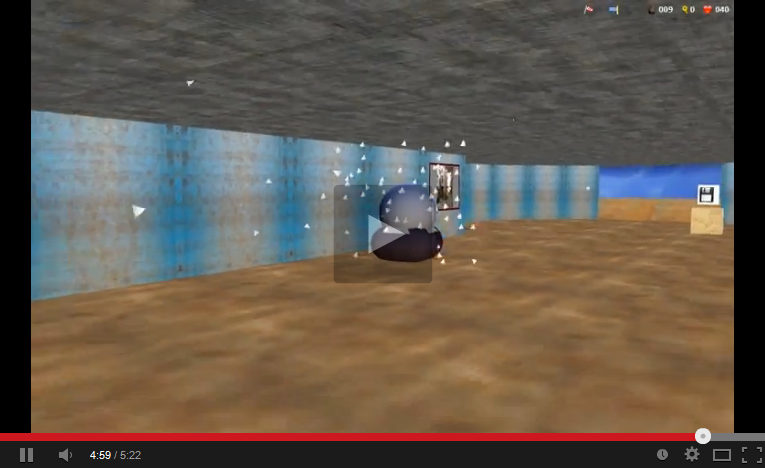 Game4You is a useful gaming tool that will allow you to create your own first-person games in order to impress your friends or your family. More information. 2014/04: DeepSound 1.5 for Windows XP/Vista/7/8 is now available. DeepSound is a steganography tool that hides secret data into audio files - wave and flac. More information. 2014/02: Game4You 1.0 for Windows XP/Vista/7/8 is now available. Do you want to make original surprise to your family or friends? Game4You 1.0 is a freeware application that allows you to create first-person game with your own photo, audio files and text. You can customize number of enemies and game world size. More information. 2013/08: DeepSound 1.4 for Windows XP/Vista/7/8 is now available. DeepSound is a steganography tool that hides secret data into audio files - wave and flac. The application also enables you to extract secret files directly from wav, flac, wma lossless or audio CD tracks. More information. 2013/03: New version of MyRepositoryClient 1.1 for Windows XP/Vista/7 has been released! MyRepository is freeware.It is very helpful solution designed for creating, managing and sharing photo albums, documents, video albums and other files. More information. 2013/01: WebScamin 1.0 for Windows XP/Vista/7 has been released! WebScamin is a freeware tool designed for web scanning and web data mining. The program allows users to easily obtain and analyze text data from any number of web sites. WebScamin uses a plugin architecture for the user defined web data mining and analyzing. In the future .NET developers can extend functionality of WebScamin by making their own plugins. More information. 2012/08: DeepSound 1.3 for Windows XP/Vista/7 has been released! DeepSound is a neat, handy and free steganography tool that helps you hide any kind of secret data into audio files(WAV and FLAC). 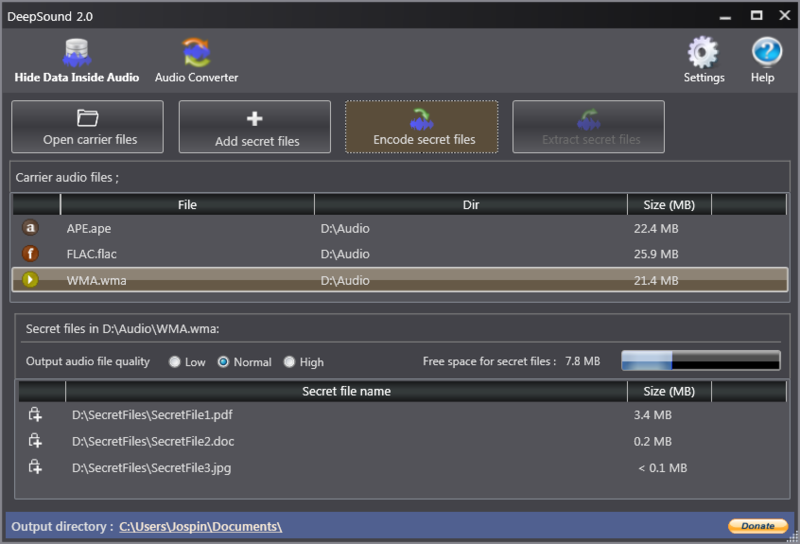 DeepSound is an advanced steganography utility, as it will also allow you to extract secret files directly from audio CD tracks. Therefore, DeepSound can also be used as copyright marking software for wave, flac and audio CDs. DeepSound is also able to encrypt the secret files using the popular and reliable AES-256 (Advanced Encryption Standard) standard and therefore, improve data protection. More information. 2012/04: MyRepository 1.0 for Windows XP/Vista/7 has been released! MyRepository is freeware.It is very helpful solution designed for creating, managing and sharing photo albums, documents, video albums and other files. You can share your photos, docs, video or other files with as many or as few people as you like and you can set which user may view/insert/edit/delete them. More information.